40+ Best Travel WordPress Themes – Improve Your Travel Website Today! Check these Travel WordPress Themes out for your website. A good looking and feature rich WordPress travel theme can really speed up the development process of a travel website. WordPress can be the perfect publishing platform for you if you are engaged in travel and tours business, or if the purpose of your website is to showcase your adventures. 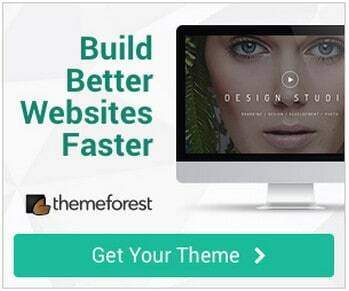 You should know however, that you should not pick the first WordPress theme you stumble upon. Take the time to look for good travel WordPress themes providing the right look and the right travel related features needed to stand out in the travel niche. Also, consider using a Responsive WordPress Theme as it will look great also when visitors travel and access the Internet from a mobile device. Some travel website templates have map and geo tagging features included, integrating maps etc. If your preferred travel theme WordPress does not have all the features you need, you may want to add a jQuery Google Map yourself or use WordPress plugins like WP Geo. Others have cool WordPress page templates that serve the travel oriented content well. Making a custom WordPress theme is also a possibility but it is costly and time consuming. In this article, you will find some great looking WordPress travel themes you can use to kick start your travel website – we just updated and added more themes. If we missed a theme worth showcasing under this category, or if you have something in mind, please drop us a comment below. We will surely appreciate any addition to this article. You are of course welcome to share this to your friends by liking it on Facebook, Twitter and other social media. Hope you enjoy reading! 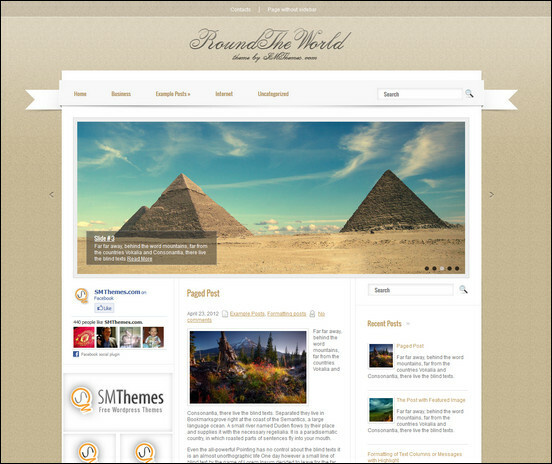 RoundTheWorld is a beautiful travel WordPress theme. It provides you with great features to create a powerful base build. It has a dynamic content loader, custom sidebars, Google maps shortcodes, custom widgets, lots of shortcodes, custom menus, anti-spam without captcha, and a multi- colored related posts. 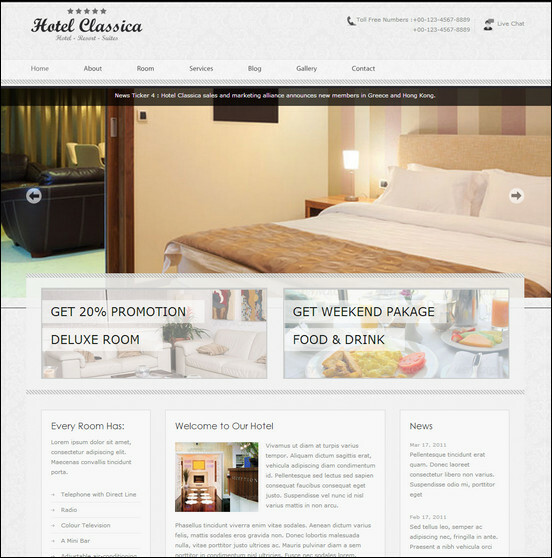 Hotel Classica is en elegant and minimalist theme designed to create beautiful hotel and travel websites. The theme has a menu manager, 4 page templates, 3 sidebar position, multi-level drop down menu, custom widget, shortcodes and it works on all major browsers. With the Explorable travel theme for WordPress you get a really unique location-based website template for building a travel oriented website. It is possible to pin your posts on a map and they will show up on the front page in a visual location based presentation. This way all your listings become part of a journey, and for visitors exploring your website will be like taking part of the trips! The theme is great for personal travel blogging but also as a local business directories, a travel guide etc. With Explorable you also have the possibility to add user star ratings to increase visitor interaction. The theme is responsive and looks nice on mobile devices. Midway is a responsive wordpress theme perfect for travel business. It is loaded with powerful features suitable for your needs. It has a responsive theme options panel in which you can fully change and customize fonts, colors, backgrounds, sliders etc., It also has its own booking form, 3 built in widgets, 10+shortcodes and more..
Imperial is a classic and clean theme for wordpress. The theme is very responsive and is perfectly made for hotel, hostel and resort websites. It is well documented, has cross browser support, Custom Widgets, Custom Shortcodes, SEO friendly, translation ready and many more! This site is really worth checking out! Socha is a retina responsive photography theme perfect for people who would want to travel and showcase their photos or videos at the same time. It is 100% fully responsive, has six different colors, unlimited custom backgrounds, unlimited fonts, has cross browser support, detailed documentation, five custom post types included and it is optimized for touch devices! 456Theme is a wordpress theme built from one of the best responsive framework called the skeleton grid system. In this theme you can actually build your own skin color in just a few clicks. It provides you with tons of amazing features. It has 15 unique page templates, 23 custom widgets, 60+ shortcodes, LayerSlider, Nivo Slider WordPress Plugin, Multilanguage WPML support, 23 pattern backgrounds and much much more. This theme is perfect for persons who would like to put up a travel site. It utilizes Google maps to provide users with exact locations and ability to interact with the location. It has lots of features like a full screen image backgrounds, draggable collapsible windows, unlimited link color options, easy logo customization, WP menu support, super easy admin panel, advanced jQuery animations and effects and custom marker option. This is a really must see theme! WPTraveller is a responsive travel theme for wordpress. It is very useful for photographers who travel most of the time. It has a lot of features really suitable for your needs. Included in this package is a unique gallery browser with mouse and keyboard navigation, unlimited sidebars, custom widgets, shortcodes and shortcodes generator, has dynamic image resizing, 4 color variations, advanced options panel and cross browser support. Expression is a cool responsive WordPress photo theme. It is great for photographers and creatives who use portfolios to effectively present their work, but it also serves very well for taking the holiday memories online. Expression theme is powered by the advanced Pexeto Panel, which provides tons of options to manage and modify any aspect of the theme. With all the styling options provided you can easily customize the appearance of the theme and build you own custom skin. Another cool responsive travel theme for wordpress that has 2 pre made skins (Light and Dark). It showers you with tons of great features like WordPress 3.5 Ready,custom social icons, custom fields, custom functions and has cross browser support. The theme has many options to choose from so that makes it easy to customize! This theme is really worth checking out! Geo Places – one of the beautiful travel WordPress themes – lets you create and manage your out of the box city directory WordPress website easily. With Geo Places, you can turn your WordPress into a strategically built city portal where you can showcase different places and businesses. Chameleon is a simple and clean responsive wordpress theme loaded with customization options. It is also compatible on major browsers like Google, Opera, Firefox, safari etc., Customizing is also easy because of unlimited color schemes and a font customization options in the ePanel which provides you with dozens of different color and variations. HotelBooking – one of the beautiful travel wordpress themes – is an elegant platform with great features for Hotel business owners. This theme helps you to create a beautiful Hotel website, complete with booking and reservation management functionality. Delight is a Powerful Professional WordPress Theme, with Full screen background. The Google maps integration into the full screen background is a cool feature for a travel site. It comes with many jQuery effects (Cycle, Tabs, Accordions, Drop Down Menu, Tooltip, Color box, Auto alignment and more…), unlimited skins, unlimited possibilities, Google web fonts, different page templates, drag & drop system to compose your contact forms, and slideshows, a huge number of shortcodes with useful buttons in the text editor, a powerful extended administration panel, widget ready with four internal widgets, easy to translate with a .po file. Another clean and modern business that is very easy to customize and provides you with awesome features. Everest is a responsive wordpress theme that has unlimited color variations, unique sliders, unlimited sidebars, has built in options panel , and a contact form builder where you can edit contact form fields and messages. A unique wordpress gallery theme that allows you to create multi media travel galleries. The homepage is also unique, and includes a custom-coded photo wheel that is sure to entice your visitors. Overall the layout is simple and crisp, giving focus to your imagery. Destination – one of the beautiful travel wordpress themes – is features free forum support, user-friendly options page, custom menu, automatic thumbnails, different design for sticky post feature and many more. Compassion is a responsive theme with a positive and modern design it has a tumblr like theme and very responsive on tablets and mobile devices. It also supports all post formats like standard, aside, audio, chat, gallery, image, link, quote, status and video. Another cool theme that has flashy effects and loads the page using ajax which creates a smooth experience to users. And this kind of loading style is really useful for photographers who would want to have their own online galleries. It also comes with a stunning full screen background that will surely catch the attention of your visitors. And one thing more, you can also add custom background images to your post or category! this is really a must see theme! Modest is a clean, minimal responsive theme for wordpress. It comes in five different color schemes suitable for your very needs. The simple design and great focus on preseting images nicely makes it good for featuring travel photography. Showcase your vacation home using beautiful photo galleries and offer it on rent to tourists. Vacation Rental theme also has its own booking system and with its responsive design this theme surely adjust on what devices you are using. It has unlimited color options, automatic updates and a widgetized homepage for easy customization. InStyle is a simple,bold and beautiful WordPress photo gallery theme that has the ability to create custom rotating backgrounds for each section of your website. 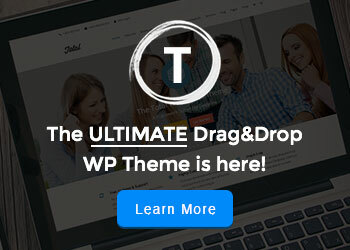 This theme will create a truly unforgettable experience to your users and visitors. It also allows you to add custom background images to any page on your website. this theme is really worth your time checking out. Pacifico is a fullscreen background WordPress theme which need to be checked out! Enjoy the beautiful pictures in motion with the incomparable Motion Slider. Cool for showcasing vacation photos online. This theme also comes with 3 layouts and 8 styles, 35+ shortcodes and 25 widgets, slider manager and a contact form builder! DailyNotes features a tumblr-style custom post type. These post types making sharing media quick and easy, and include special integration options for photos, videos, quotes, notes links and audio files. The Theme is very simple, elegant and minimal in its design. This theme can be used to create a beautiful and inviting personal blog. Queen Hotel is a clean, classic and elegant WordPress theme suitable for hotel and travel website. This theme also suitable for business and portfolio websites. Uploading images to gallery is easy since it use the default WordPress media manager, it can uploading many images at once. Arctica is a fully featured Responsive theme. Comparing to other responsive themes on the market you’ll get a beautiful modern design, a great set of shortcodes, portfolios, widgets, sliders, icon menu, localization support and many more. It also has a great icon menu that can be used in any page of your website. BigCity – one of the beautiful travel WordPress themes – is a Personal and Blog WordPress Theme that can be used as full featured magazine style travel WordPress theme.The theme is very easy to use and customize and loaded with powerful features that will suit your very needs. Nice hotel is a WordPress theme designed for hotels, hostels, resorts, spas and any other type of service which requires a booking type system. It has its own accommodation management that allows you to add images and descriptions to the rooms and services offered. One thing more it has a booking wizard in which you can reserve rooms with ease! WorldTraveller is a travel template used to create a nature, culture like blog site. The theme is loaded with awesome features like a nice widget ready footer, awesome gallery, build in help file, 2 different start page designs, custom wordpress backend area, gradient over text and a custom skinned pretty photo lightbox. Included in this package is a 7 video tutorials for easy customization. Revolution – another clean, modern designed wordpress travel theme that will take your site to the next level. this theme provides you with features that will surely suit your needs. It has a powerful custom admin panel, 4 beautiful sliders, over 200+ fonts, lots of shortcodes 10 page templates and many more! with this features you can create a stunning yet powerful website in a short period of time. A cool theme with a magazine layout perfect for persons who would want to create or run a magazine website related to travel and lifestyle. The theme comes with a multi search module in which you can search and displays a filtered results. It also has 5 color styles, article slider, style sheet switcher, wordpress photo gallery, widget ready and a customized archives and search pages. Fullscreen template is a corporate looked theme with a stunning slider on the homepage. this theme focuses on excellent product photography and it can also work well for any business like restaurant sport shops or a travel agency. Extremely universal design that can be used for any corporate or personal website . It is a touch screen ready theme (tested on iPad and Android), has unlimited number of widgets, two font colors schemes, Google analytics ready and has various shortcodes for content boxes. This is really a must see theme! Guesthouse is a premium wordpress theme designed for hospitality sector and sport centers. It is loaded with features like useful shortcodes and portfolio, multilingual,adapts to mobile devices, and it also supports WPML plugin in which you can create a website in any language. This theme is really worth checking out! Winter Fun – one of the beautiful travel WordPress themes – is a winter inspired template that features Free forum support, Nice background at resolution of 1280px, compatibility with IE7, IE8, Firefox, Chrome, Safari, Opera, SEO ready, Gravatar enabled functionality and a lot more. Another powerful theme with a customizable layout. This theme has an amazing layout with 28 jQuery staging effects. It has also a featured page section in the homepage where you can showcase the services and benefits of your company. It has 9 custom page template for blog, 20 custom shortcodes, 7 custom NattyWP widgets and a completely widgetized sidebars. Brochure Melbourne- one of the beautiful travel wordpress themes – has a very creative custom photo image, automatic thumbnails, drop down menu plugin, and many more! Gold coach beach is a surfing inspired theme for wordpress. This theme comes with a user friendly options page, custom header menu , automatic thumbnails, has different design for sticky post feature, SEO ready and is compatible with IE7, IE8, Firefox, Chrome, Safari and Opera. WP World Traveler is a Clean, fresh looked theme for WordPress. This theme can be used to create a travel blogging website and more. It has a custom write post panel, custom theme administration panel, fully widgetized sidebar and a dynamic image resizing. Corporate speaks for itself. It sports a corporate look, website branding text boxes, a page slider, an area for contact info and some cool menu layouts. You can choose from a slider, kwicks or simply just a static page for your homepage. It is also divides into different section from which you add or remove. Lamoon is an ideal theme for hotels and businesses. It features a sharp and clean, responsive WordPress theme that can also be used for other purposes. You can place beautiful images to advertise your site, add an on site booking function, create a gallery for the rooms and facilities and it also features a blog. Is there a good party bus theme in wordpress that supports up to 32 seats or any theme where I can tweak a little bit to increase the number of seats slots. Great suggestion! I think that one will be a responsive interface perfect choice. Great travel themes. I was looking online to find some wordpress themes to update my website. I will choose one for sure. Thank you!! 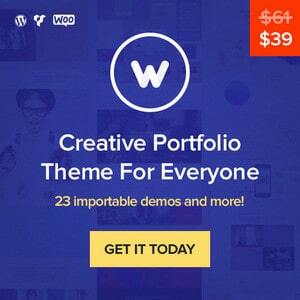 Good Collection of WordPress theme. Nice post and thanking for sharing good article. so nice templates but i want different a bit too.Any else example template ? As always, when you need to know something, Google and there it is! Thank you for helping me out with the info I needed to find a travel blog template! thank you for amazing themes pro . Thanks, that themes is very usefull. . . I am looking for a travel theme for my new website for Saint Tammany Parish Louisiana. You have many good looking ones here and i am just trying to pick the best one starting off. Awesome post, really useful. Thanks. I love all the themes. I think there are multiple interfaces to choose but need to consider page loading speed and SEO factors. Agreed, page speed and SEO factors are the most important feature of all. I love all the themes. Vacation Rental stands out though, for me. Thanks! Very good themes.Thank you very much ! Very good themes.Thank you very much for sharing. Really great list of fantastic travel themes! Thank you so much! Thanks for sharing. There are alot of great themes. Nice list of travel wordpress themes the only problem being that some of them are paid themes. Wish you could have a list of free travel themes for wordpress. Truelly a great collection of travel blog-themes. I am looking for a new one (better one). For now I got Oxygen which is a great theme. However a theme which uses a map would be better. Perhaps one of the above mentioned will work. It’s great, look very professional, Thanks for sharing! wow look very cool i like it thanks for share! Your list of these great WP travel themes will help me a much! Thank you! Thank you, some great options! Definitely the most impressive list I have found, bottom line. You did an oustanding job on this one. 🙂 There is great range and I have been looking for a while for a theme with a wide screen format. Thanks for your comment Prashanth. It’s hard to tell which one is the best because it depends on your specific requirements for a site like yours. Make a list of your requirements and check each theme developer page to determine which one fulfills your requirements and have a design you like.